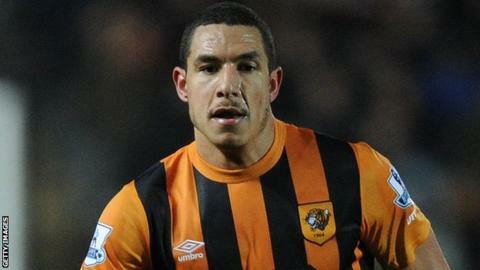 Hull City manager Steve Bruce believes Jake Livermore is "mentally ready" to return to football after he avoided a Football Association ban for testing positive for cocaine. Livermore, 25, failed a drugs test after his newborn son Jake Junior died. The FA ruled the midfielder should not be banned because of "the specific and unique nature of the circumstances". Hull host Premier League side Swansea City in the third round of the League Cup on Tuesday. "Jake has come in and wants to get back playing again," Bruce told BBC Radio Humberside. "I will speak to my medical team and my staff as he has only trained for six days. Whether I put Jake in on Tuesday, I'll make up my mind in the next 24 hours. "A footballer wants to play. No-one wants to sit in the stands." He was notified of the failed test on 13 May and has not played for Hull since. He could have received a two-year ban. However, an FA statement said the death of Jake Junior had a "devastating effect" on Livermore, his partner and their families and that the player's "cognitive functions and judgement were severely impaired" on the occasion he took cocaine. Earlier this month, Bruce said he felt he had let down Livermore and that the club would do everything it could to ensure the player received the help he needed. Hull are third in the Championship following their relegation from the Premier League last season.